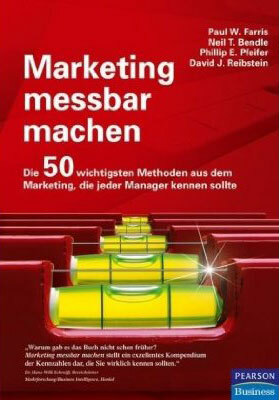 If you ever looked for a book where you can find easily explained the figures for your daily marketing improvements, so this is the book you always looked for. I love this book, because it’s explaining every formula with easy examples and shows how to use those formulas in daily business. You don’t have to be a nerd or expert for this book and you also don’t have to read it from the first page to the last to understand it. Pick up a topic you’re interessted in and within minutes you know how you can implement the knowledge in your daily business. It’s that simple!